Leviton Self-Test Slim Tamper Resistant GFCI Receptacle. Peace of mind, all the time. The SmartlockPro Self-Test GFCI tests itself even if you forget. Designed to meet the latest UL standard for auto-monitoring (self-test) our complete line of self-test GFCIs periodically conduct an automatic internal test to confirm that it can respond to a ground fault. With the slimmest profile on the market, the device allows for fast and easy installation, while Leviton’s patented reset lockout mechanism prevents reset of the GFCI if it is not wired or operating correctly. The SmartlockPro Self-Test GFCI is the smart choice in ground fault circuit interrupter protection. Click here to learn more. It's not all about the prizes you can win. It’s really about our newest location in Baltimore, 6 Nashua Court, Essex MD. A location close to where you work stocked with the things you need to get the job done right. 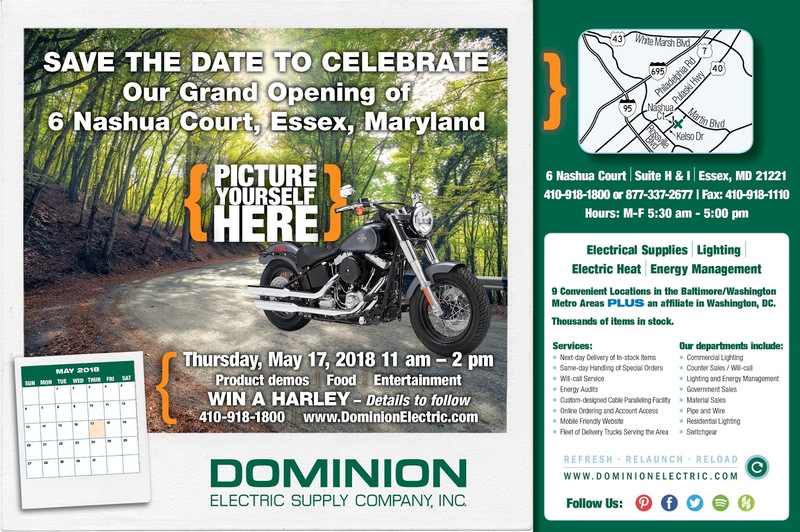 Our Grand Opening on May 17, 2018, from 11AM to 2PM, is a little extra incentive to get you in to see what we have in-store for you. 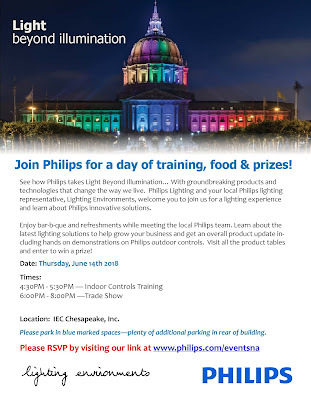 Twenty-three manufacturers will be representing and demonstrating their latest products. 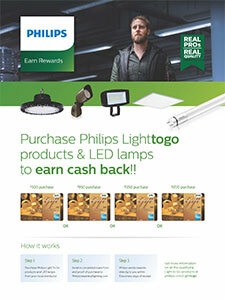 Think lighting, wire, tools, labor saving and safety products. 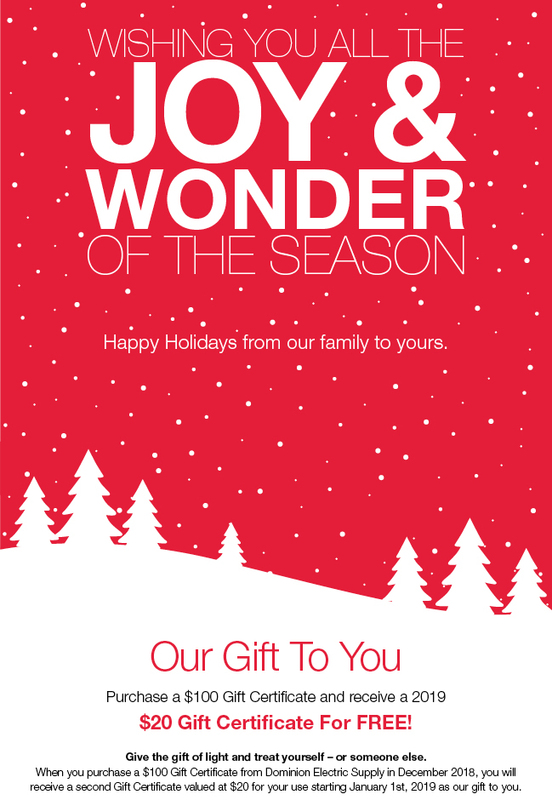 Our neighbors, Harley-Davidson(R) of Baltimore, will be handing out gifts and offering test rides. We hope you get your game on with our corn-hole, putting and hoops competitions. We’ll have food trucks ready to feed you and swag for just showing up. We are also expecting some special guests but we aren’t allowed to say who just yet …. Enter to Win a FREE Weekend Stay! Our Grand Opening Giveaway 2nd Prize is pretty awesome too - a gift certificate to use towards a stay at Nemacolin Woodlands Resort, a four-season playground nestled within 2000 acres in Pennsylvania. Have the time of your life – from off-road driving, animal safaris and zip lines to fine-dining, spa treatments and golf, pick as much or as little as you’d like to do. It’s on us! 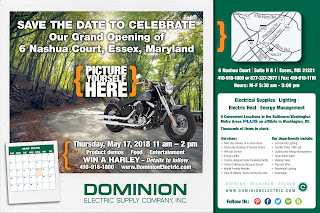 We are so excited about our 2nd Baltimore location, 6 Nashua Court, Essex MD, we want everyone working near us to come in, visit and enter to win. Spring Fever? We are so excited about our second Baltimore location - 6 Nashua Court, Essex, Maryland, we want everyone working near us to come in and visit. 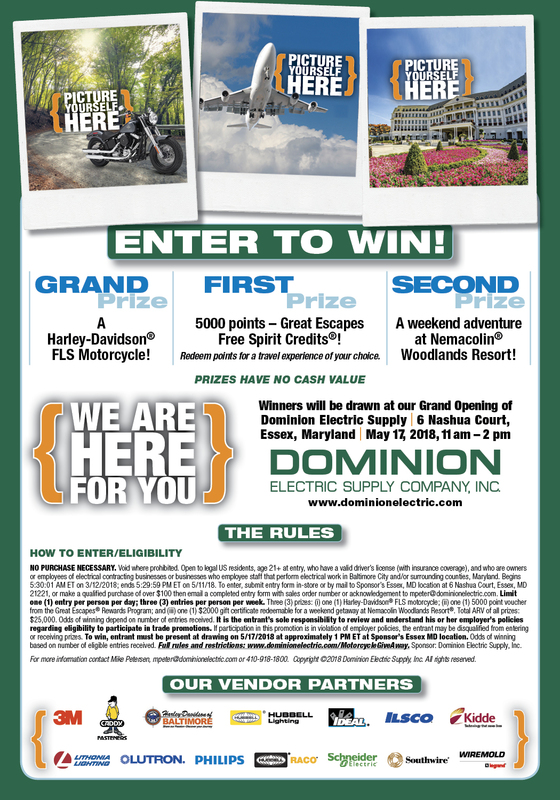 Ask about our Grand Opening Giveaway - Picture yourself riding on your brand new Motorcycle, on a fabulous trip of your choice, or a special weekend away. What better way to celebrate the season?